Thats typical for game companies that are mostly interrested in earning big money. Skillful amateurs are often more historically interrested and accurate. BUT if Graf Zeppelin would have Stukas it would also sell much better for sure. I want to add another thing but I don´t know if its psycially possible to make. They dive bombers should be set for a higher altitude before starting the dive (this isnt only mentioned for Stukas). Now the planes start their bomb runs from such a ridiculously low altitude that diving almost loses the purpose of surprise. I don´t care if Stukas are "to slow" because they are historically correct and cool for people who are interrested in WW2. Like some guys here suggested they could let Stukas be more accurate bombers instead. As it is now it looks like they have implemented the wrong model by mistake (and yes, it really is a damn mistake). I suppose that WG feared that Graf Zeppelin would be a little to popular with Stukas and especially with the famous sirens mounted. Another guess is that they think that it would glorify the "dreaded nazi Stukas". Personally I hate such a cowardly and unhistorical perspective in games and why then do they approve several models of Stuka in World of Airplanes?? With other words: GIVE US STUKAS FOR GRAF ZEPPELIN!! Thanks SSA for your important information. Just one more question; is it not longer possible to send up and alter between several squadrons in the air? So its not possible anylonger to set pathways for the squadrons? Do you know why they made that change? Am I not even able to see the auto-drop-reticule nowadays? I have tried for days to make the Wwise Launcher give me the possibility to install version 2016.2.1.5995 for sound modding. Can I get it from somewhere else? 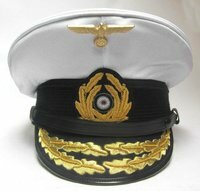 Admiral Hipper wasnt named just Hipper! That name is a little different because "Graf Spee" still looks okay and in historical books it is often written like that. Hipper looks bad and silly without Admiral. Yes why not make the list a little wider instead? Just Hipper looks cheap and false compared to the mighty Admiral Hipper so I will probably never get used with that childish cut off. Please give "Admiral Hipper" the full historical name back! "Hipper" sounds like a little destroyer more than the heavy cruiser it actually was. Whatever reason you had for the change it must have been pretty unecessary because the only little problem was that you couldnt show the full name in the battle list (no big deal).